We Take Care Of All Your Bathroom Plumbing Needs In SW1. Your Kitchen Is Very Important. Our Plumbers In Pimlico Are True Experts. Do you need the services of reliable plumbers in Pimlico (SW1)? Many tenants, landlords and businesses struggle to find plumbers that they can trust. Our team only carries out expert plumbing work. Trustworth Plumbing is a trusted company of hard-working professionals. With years of experience, our company knows the important of safey. With plenty of happy customers, guarantee we always get the job done with precision. Our Pimlico plumbers provide a range of specialist repairs, installations and servicing options. It is essential that you only hire a fully qualified engineer. If you choose not to, the result can be catastrophic. You will certainly be left with a huge bill, to fix any mistakes. Our work is carried out with brand new expert tools. Our plumbers in Pimlico also use the latest technologies. Our team are efficient, thorough and friendly. We also cover other areas in the City Of Westminster region. The many plumbers Pimlico has all offer a full range of services. We stand out from the rest, as we can handle any plumbing task efficiently. So from leaky taps in your kitchen to a new bath/toilet installation - hire Trustworth. No job is too big or even too small for our qualified engineers. We provide property management for landlords throughout the SW1 region. If you have a new bathroom suite, our expertise means we can handle any bespoke plumbing installation. When it comes to price, we are always honest and fully transparent. You may wonder how much it costs for a plumber in Pimlico. Well, Trustworth provides standard plumbing work from £75 per hour in Central London. Certain regions in Central London have a slightly higher standard rate per hour. This is due to congestion and parking charges. 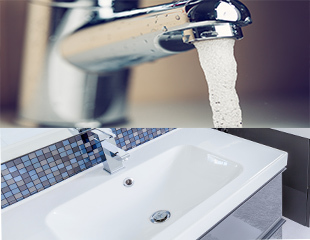 Extensive plumbing work will require one of our team to visit you, to offer a full quotation. All our quotations are of course, free. Pimlico is a little areas that is seen as being both part of Central London and South London. The area is dissected by Belgravia. Many famous people have laid their roots there and called the area home. If you have luxurious plumbing in your property then you need a company who is experienced in luxury plumbing. We are experienced and skilled at fitting luxury kitchen/bathroom suite. Call Trustworth now on 020 8670 4443 or 07951538977 for all plumbing installation/repair enquiries. Trustworth is among the best in London. Our plumbers in Pimlico pride themselves on providing quality work. They can install or repair sink, basin, tap or toilet. Installations of showers, new pipe work or water tanks are carried out with precision. 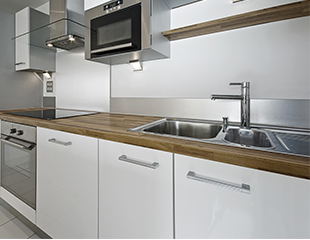 We complete general tasks with care and precision, Landlords in Pimlico choose us for property management because we are organised and reliable. We are true masters at fitting new taps, basins, sinks, toilets and shower systems. These include any luxury, contemporary ranges. 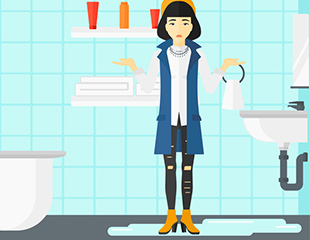 An expert Pimlico Plumber can easily manage all your sink waste problems. They can also install brand new sink macerators. Trustworth Plumbing also provides a dishwasher and washing machine installation service. We may be able to take away your old washing machine or dishwasher. So if you are a landlord who requires work conducted short notice for your tenants; contact us right away. When it comes to researching the cost of plumbers in Pimlico, you should use the World Wide Web. Finding a company with an easy-to-follow pricing guide is key. The company should clearly state their rate/price-per-hour, including any additional costs. Trustworth Plumbing has very 'easy to understand' prices. We only charge £75 per hour for all standard jobs in various London areas. If you live in an area whose access is affected by congestion charges or expensive parking - the cost is slightly higher.